Pace Car Rental Johannesburg, is now bringing South Africans quality commercial vehicles in truck rental with a variety of 4 ton and 8 ton truck rentals. Our Group Q++ consists of the Isuzu Closed N Series 4 Ton Panel Van Box Truck – Be sure to contact us to organise this truck hire for your business. As you can see – Pace has it all in terms of bulk transport hire – guaranteed variety on our fleet, exceptional service and quality truck rental from a quality truck rental company! 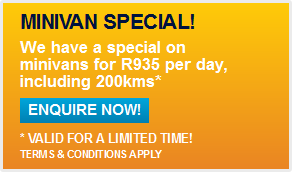 Honestly the best deal in South Africa! Our truck load capacities currently range from 4 ton to 8 ton. In addition, we have tail lifts to offer our customers. At Pace Truck Rental, we aim to meet clients needs and always do our best to make our rental process as smooth as possible. The best thing about us is that we are flexible with our rental days. These include: daily, weekly, monthly. 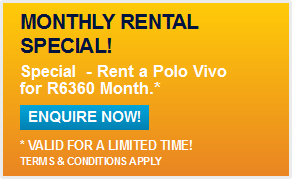 So you can rent our trucks for as long as you need it. Pace Car Rental specialises in long-term car rental so you are guaranteed the best monthly truck rental deals. Truck rental is perfect for the film and television industry. The Isuzu N-Series trucks represent perfectly balanced medium-sized vehicles for everyday applications. These are tough trucks that are ready to provide with the highest levels of efficiency and reliability in a cost effective package. A 4 ton truck is the perfect sized truck to use when transporting small to medium loads. A bakkie can be too small and an 8 ton truck could be too big, a 4 ton truck will be your best option to meet your needs! At Pace Truck Rental we currently stock the panel van box trucks. Our 8 Ton Panel Van Box Truck comes equipped with a tail lift for your convenience. At Pace Truck Rental we stock the 8 ton panel van box truck hire. 8 ton trucks have become a preferred choice to many of our customers due to their versatility and convenience. These vehicles are well suited for various loads that needs to be transported in South Africa.